General Motors and Honda have announced an agreement meant to bolster the all-electric vehicle portfolios of both companies. Engineers will be tasked with developing more advanced battery components, including the cell and module, for a next generation system that will return higher energy densities and faster charging times albeit in a smaller, lighter package. The automakers will collaborate based on GM’s next generation battery system with the intent for Honda to source the battery modules from GM. Officials say the collaboration will support each company’s respective and distinct vehicles, while the combined scale and global manufacturing efficiencies will provide greater value to customers. General Motors Vice Chairman Steve Girsky (left) and Honda North America President Tetsuo Iwamura (right) announce a long-term, definitive master agreement to co-develop fuel cell systems and hydrogen storage technologies, aiming for a 2020 release. Photo dated Tuesday, July 2nd, 2013 in New York, New York. Photo: General Motors. 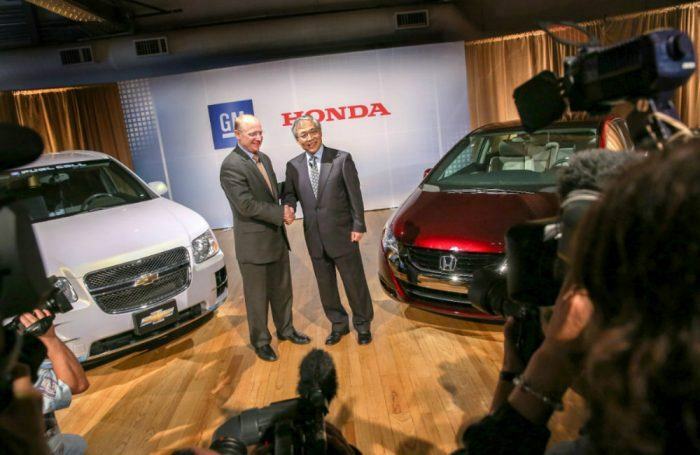 A previous joint manufacturing venture between GM and Honda is already well underway. Teams from both automakers are working to make fuel cells and hydrogen storage systems more viable and affordable, and are intending to produce such a system in or around 2020. With regard to future electrified vehicles, both companies say this most recent announcement concerns the North American market. Source: General Motors, Honda Motor Company. 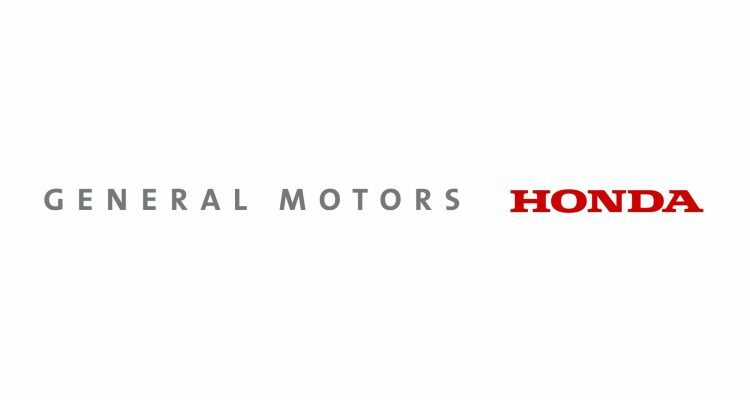 No Comments on "General Motors, Honda Partner For Next Generation Battery Technology"